A GREAT PLACE TO START! This 1810 Sq. Ft. Home has been totally remodeled & has all the modern features you’re dreaming of. Open Great Room floor plan with Gleaming HARDWOOD Floors, High Ceilings & Decorative Plant Shelves. The Kitchen has Graceful Arched Windows & Gorgeous Expresso Cabinets Topped with Sleek Granite, High-End Stainless-Steel Appliances including smooth top Bosch Range, Custom Range Hood, Glass Tile Back-splash & even a desk area for your I-PAD or computer. Split Bedroom Plan. The Master Suite has a Large Walk in Closet with Custom Closet Features and the Master Bath Renovation included a seamless glass shower enclosure, dual sink vanity, custom mirrors & hardware and a relaxing garden soaking tub. Fresh Interior and Exterior Paint, plus a covered patio with pavers. The secondary Bath has also been remodeled with higher vanity with granite top, new bath tub & wall tile with glass tile accent. 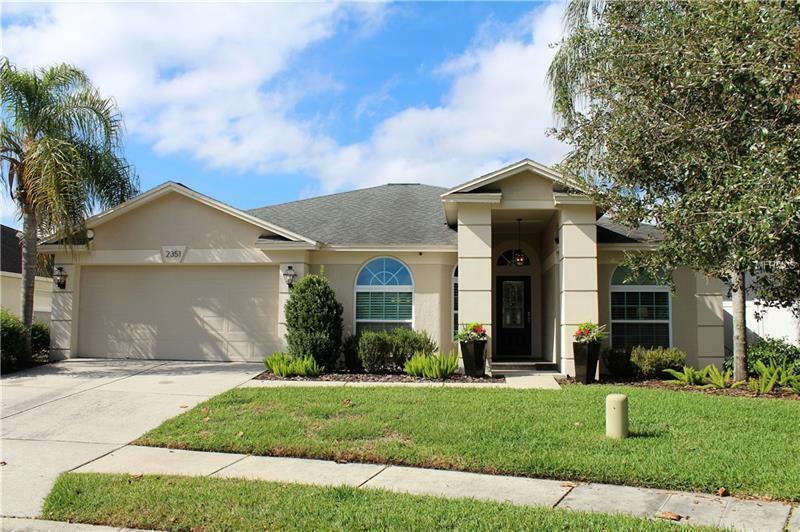 Extras Include: Covered Entry, Front Door w/leaded glass inset, Fresh Interior & Exterior Paint, New lighting, St. Augustine Sod, Irrigation System, partially fenced yard, leaded glass front door, whole house water softener system, lighted closets with organizers & custom blinds. Roof, AC & Windows have also been replaced for Increased Energy Efficiency. Community Pool & Low Association Fees of only $578 PER YEAR! Conveniently located with easy access to I-75, I-275, New Tampa and to Shopping, Restaurants & Schools. This incredible home is MOVE IN READY!